A rich dessert fit for a king. A delicate dessert fit for the queen. A fun dessert fit for all the prince and princesses. A perfect dessert for me and I'm not royalty. Basically - this is a sweet for everyone and anyone. To start with, take a wide pan and heat about 3/4 of a gallon of whole milk. Please don't use reduced fat milk here. It just does'nt work - just get that extra workout and go with the whole milk. We will be making paneer with this milk. This quantity makes about 25 big rasmalais. So, adjust your quantity accordingly. Bring the milk to a complete rolling boil. Then, switch off the stove and add white vinegar to this little by little till you can see all the milk curdled and the whey separating out. Before you add vinegar, make sure you have a bowl of ice pieces next to you. You will add that as soon as the milk curdles. This is what we should be looking for - a greenish kind of whey separating and little chunks of paneer floating around. As soon as that happens, add a whole bowl of ice to the paneer. This will immediately stop the cooking process and will keep the paneer very very soft. You can touch if you don't believe me! Move all the paneer to a thin muslin or cotton cloth over a colander. Run cold water over this paneer cooling it down even further to keep the softness. After this, squeeze out all the water and hang the paneer for about 30 mins. Keep squeezing out the water as much as you can. After 30-45 mins, the paneer is still soft but without any moisture. This is perfect consistency. You will have to knead the paneer really well to give it a little bit of elasticity. You could do this by hand or if you have a food processor, that works best. Use the dough maker attachment and pulse it a few times until the paneer forms a ball. This provides a wonderful smooth texture to the paneer. Move to a bowl and kind of roll all together to form a nice smooth circle dough. Take a little bit of the dough and using your palms, roll them into small balls and then flatten each ball. There are my rasmalai balls ready to go. Can you see the texture in here? Sorry about the shadows...I'm doing this in my kitchen under the lights - wish I had a cooking studio with super gloss white lights! Now is a pressure cooker, add about 6 cups of water and 11/2 cups of sugar. Bring to a boil. The water has to be boiling when you drop the rasmalais inside. Cover and put the weight on top. Pressure cook the rasmalai until exactly one whistle. Then, switch off the stove and let it sit for 5 mins. Then, remove the weight ( run cold water over the cooker if the steam is still present inside). Tada...look at these little babies! They have doubled in size. Which made me think maybe I should have made them a little smaller. Move the rasmalais along with a little syrup to another bowl and let it cool down a little bit. Now, these are basically Rasgollas - just flat ones. So, the next time you want to make Rasgollas - you know how. Next step would be to make the rabdi or the milk base for the rasmalai. You can start doing this simultaneously while making the paneer. There are many ways to make this rabdi. One is you could just use half and half (milk and cream) and heat up a little bit as that is thick by itself and hence to me, more fattening! Or you could use evaporated milk and maybe a little bit of condensed milk mixed in - this is a richer version. Or you could do it from scratch with regular milk like mine below. Take about half a gallon of milk in a wide non stick pan. Keep heating in medium heat. This should basically reduce to half the quantity. For 4 cups of milk, add about 1 1/2 cups of sugar. If that's too sweet for you, add some more milk. When the milk is half done, soak saffron in a little bit of hot milk and then mix with the rest of the milk.This gives a wonderful flavor and color to the ras! You can see the milk thickening and the cream starting to form. Looks easy - but this is after almost 1 1/2 hrs of simmering and stirring! Keep stirring until you think that the milk has reduced well and it starts to thicken. Now, pick up the rasmalais that are ready and gently using the back of a spoon, squeeze out the sugar water. This will flatten the paneer more but they will puff back up when you add them to the warm milk. Move them to the warm milk. Let your milk still be on medium heat - give the rasmalais a couple of mins in hot milk - that helps the paneer soak up the ras! Once you add all the pieces, switch off the stove but let it sit there and cool down naturally. When they come to room temperature, move them to your favorite serving bowl and put them in the refrigerator. Chill well and serve cold! Fry some chopped pistachios and almonds. I add about 1/2 tsp of sugar to this while roasting them - this caramalized the nuts and the nuts taste way better! Add the nuts to the rasmalai. And voila - you're done! Can you see how they puffed back up? It was 10:30 in the night - but I still ate 2 of these...the consistency was perfect - it was very very soft and it was a perfect cut when you slice with a spoon - no rubbery pull anywhere. It does take some time to make - but all worth it! Try it out and you will be very happy and will be eating them at 10:30 in the night too - just like me! Secret Ingredient Kootu - Revealed! Hello everybody! This was a dish that I tasted in my friend Indu's house a long time ago. She asked me to guess what the main ingredient was - I guessed but was not even close. But I loved the dish and when she told me what it was - I was impressed! And then this last week, I happened to have this ingredient at home and thought maybe I should do this for the blog! Thank you Indu for the idea! This works best as a simple kootu recipe and goes as a great side dish with chappathis or even tastes great mixed with rice. Here's the main ingredient - Yes...it is Watermelon indeed! Many of you guessed it right! The part in between the red and the green - or simply said the white part of the melon is what you use to make the kootu. And from the comments, I've got many more ideas to use this - Rekha's Kitchen Rekha also makes Halwa with this! Wow! Cut the white part into small pieces like this. You could use a peeler to peel away the green skin. To make the kootu, take a wide pan. Add 1 tsp of oil. Do a tadka of mustard seeds, curry leaves, 1/2 tsp urad daal and maybe a big pinch of jeera seeds. Add the chopped pieces of our secret ingredient in here and fry for a couple of mins. Add 11/2 cups of water to the this and let it cook in medium for about 10 mins or until soft. Add turmeric powder, salt to taste and 1/2 tsp of red chilli powder and mix well. While that is cooking, in a small pan, dry roast these ingredients until golden - 2 tsp of Urad daal, 3-4 red chillies, a pinch of hing, 1/2 tsp of coriander seeds and 2 tsp of shredded coconut. Roast all together and grind to a smooth powder and then to a paste by adding water. Checking back on our main pan, see how our chopped pieces have cooked well below? Now add the ground paste to this. Add another cup of water or more if too thick and mix well. Add a little more salt if needed to taste. Let this now cook for another 5-8 mins. That's it - you're done! Here's our wonderful tasting Kootu! 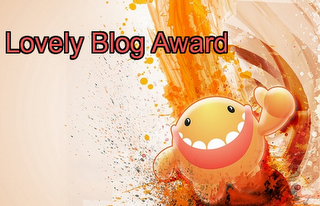 I'm going to begin the post with a few awards received for the blog. My heartfelt thanks to Madhuri of Cook-curry Nook for passing these on to me. 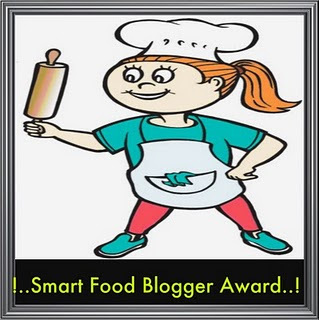 Thank you Madhuri for the kind words on your blog and for the wonderful award!! And here are the 7 things you guys did not know about me - I'm going to try and keep it short. 1. I'm an obsessed NCIS fan. I think I'm in love with Gibbs but my husband is ok with it as he knows it can always be just one-way love! 2. I laugh like the evil sea queen Ursula and I scream like a crazy woman when I'm on a roller coaster! 3. When I was a kid, I wanted to grow up and be a candy store clerk..coz I thought that was the coolest job with free access to all the candy in the world.Talk about ambitions! 4. I multitask all the time. With everything I do, I do one other thing! 5. I yawn when I talk on the phone - my sister hates it and always complains! But, it does not matter even if I'm fresh or its the middle of the day - when I talk on the phone, I yawn! Its a syndrome - my own. 6. I'm a gadget freak - be it electronic or kitchen gadgets! I prefer gadgets to roses! 7. And finally - one of these days - I will get a tattoo. Really. 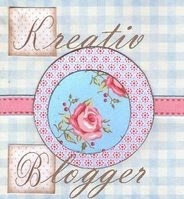 You all have wonderful blogs and here's to appreciate that! Congratulations and keep up the great work! Now moving on to the recipe for this post! This is one of our favorite meals at home. A simple tortilla wrap with assorted vegetables and a simple tomato based mexican rice to go with it. There are many ways to make mexican rice - this is of course a vegetarian version and a quick version too. To get the rice ready, wash about 2 cups of rice and set aside. In a blender, blend about 3 chopped tomatoes, a few small pieces of either jalapeno or green chillies - adjust to your heat tolerance. In a sauce pan, saute some finely chopped onions, finely chopped bell peppers ( about 1/2 cup of each). Add a 1/4 cup of frozen corn and saute for a min. Add the washed rice to this and mix well. Now, turn down to heat to medium or low-medium. Pour all of the blended tomato paste in the rice. Mix JUST ONCE so that the paste gets to the bottom of the pan. The reason is, when not mixed, there is this nice texture to the rice, where some parts of the rice has a concentration of the tomato paste and that somehow makes the rice very tasty! Cover the pan with a lid and let it cook for 20 mins. If you have a lid with a glass cover, use that so that you can look at the rice to see if its done. If not, that's fine - but try not to open the pan many times or you will be letting all the steam out! Once its cooked for 20 mins, switch off the stove and let it sit. Do not open it yet. Let it sit in the steam for about 10 mins. 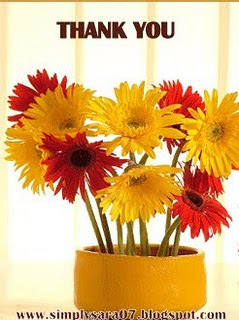 When cooled down, open and smile your broadest smile possible! Check out the cooked rice below. Now, for the wrap - saute any vegetable you like - I used Onions, bell peppers, carrots, broccoli and zucchinis. Saute each vegetable separately for about a min or so and then mix them all together. I got some tomato basil tortillas from the market. Heat up for a few secs on a griddle. Add a little bit of grated cheese on top and heat till slightly melted. Add the veggies to the center. Add some iceberg lettuce on top if you have it. There's my wrap and the wonderful tasty mexican rice. This rice is so full of flavor that you can have just that as a meal! Spicy Baby Corn and Paneer Fried Rice!